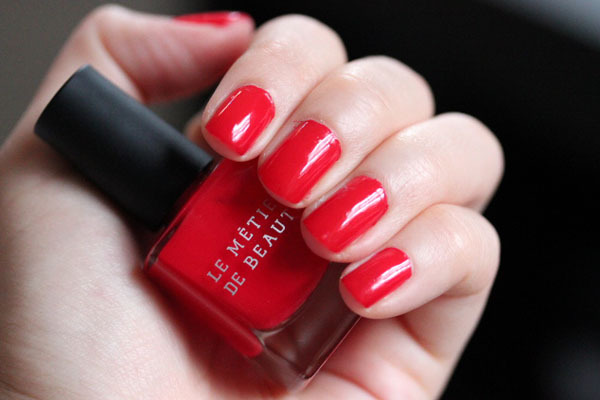 Continuing the coral barrage: Le Métier de Beauté Red Hot Tango Nail Lacquer is like having Coral Confection on fingertips. Red Hot Tango is a dazzling coral red. With a polish as bright as this, it's almost a given that it is a one-coater (though I did two, as usual). The polish has an excellent consistency that allows the color to glide on to your nails. 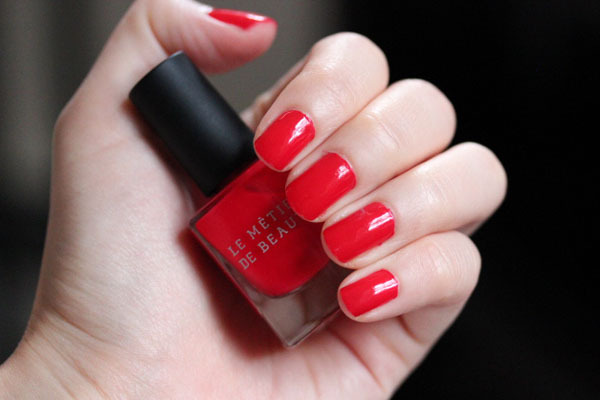 For those who have been following Le Métier de Beauté for a long time, you might be wondering how similar Red Hot Tango might be with Kontagious Koral from their first collaboration with Neiman Marcus Fashion Director Ken Downing last summer. I whipped out my bottle for a comparison (it's raining so fiercely outside right now I'll have to get back to you on the actual picture) and I can say it's not entirely the same. I cannot tell you what's different – to my eye it's the pink/orange ratio, but I... don't know which is more pink/more orange. They can easily pass for dupes, so if you have Kontagious Koral I'd say you can safely skip this one. 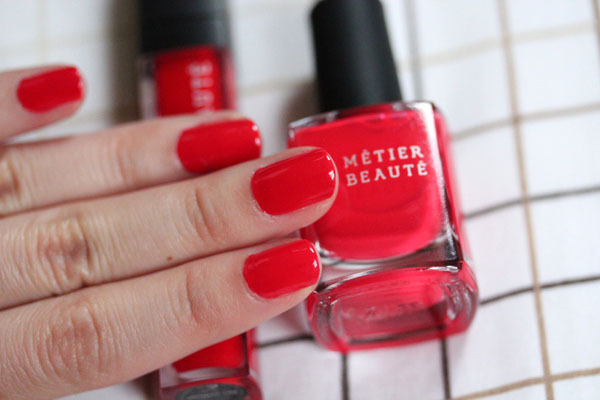 Le Métier de Beauté Red Hot Tango Nail Lacquer will be released concurrently with Coral Confection later this month, though as of right now I don't know if they'll be available individually or as a set. Red Hot Tango was provided by the company for consideration. Wow, this looks stunning. I love the look of this, so vibrant. So pretty! The color looks lovely! Wow! It's so bright! Really pretty Cheekz!